Photographed by Eva Derrick at Chateau des Charmes, Niagara, Ontario. 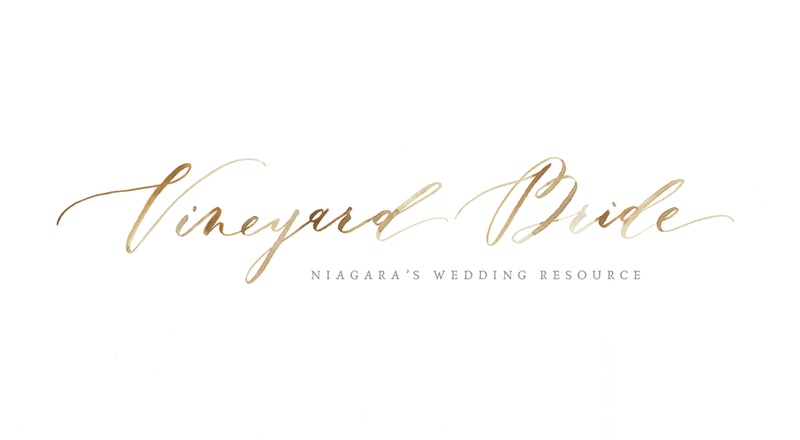 Eva Filer is the owner of Vineyard Bride, the leading industry resource for vineyard weddings in Niagara. We have been photographing weddings in Niagara's Wine Country for over 12 years now, and we want to help you plan your Vineyard Wedding. We hope this post is ....... something. You must find the perfect venue. Vineyard weddings aren't one in the same. In Niagara, we have so many wineries but they all have something special about them. Our first suggestion in finding your perfect venue is doing a wine tour and finding out which winery speaks to you. Tent or barn? Most of our wineries have tents on location; or you bring one in, but a select few offer a barn for your reception. This will help you decide if you want to plan an elegant affair or a more natural rustic vibe. Quite possibly the most important. The food. If your venue has a restaurant on-site, a wonderful date-night idea is to go for lunch or dinner and sample some food. However, we also have some amazing caterers around that service the wineries as well. Be sure to get glowing reviews before contacting anyone.